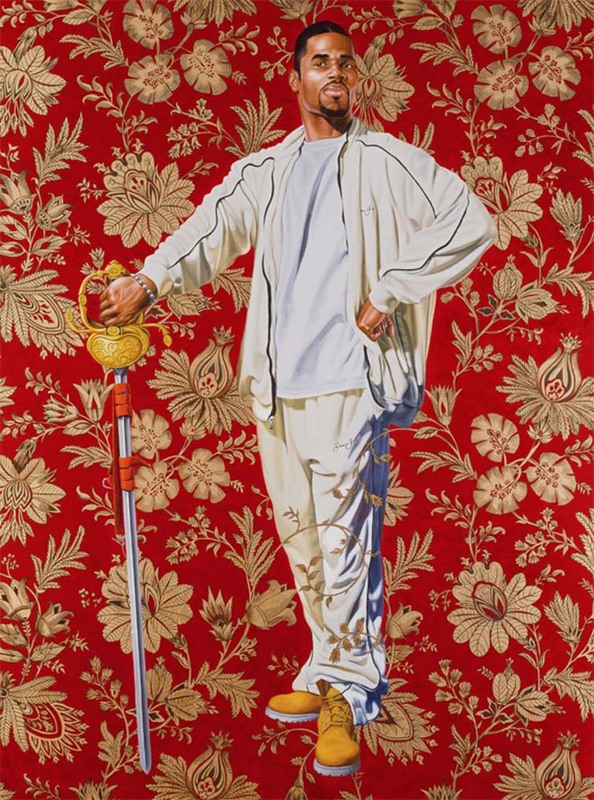 The Smithsonian’s National Portrait Gallery has commissioned a pair of rising-star artists —New York’s Kehinde Wiley and Baltimore’s Amy Sherald— to paint official portraits of the former president and first lady. 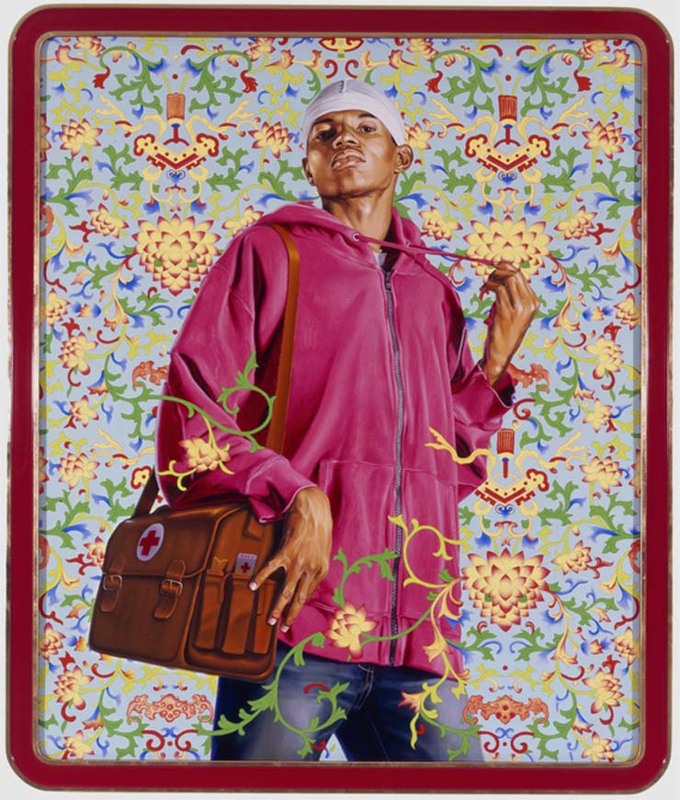 Both artists have exhibited widely (and I’ve reported on them both here for the Wow Report) but this presidential assignment is somewhat of a coup. The Obamas also made a point to champion the arts during their time in the White House, which has heightened art-world curiosity over which artists they would choose. The Smithsonian confirmed yesterday that former President Obama has asked to be painted by Mr. Wiley and Ms. Sherald will paint Ms. Obama. 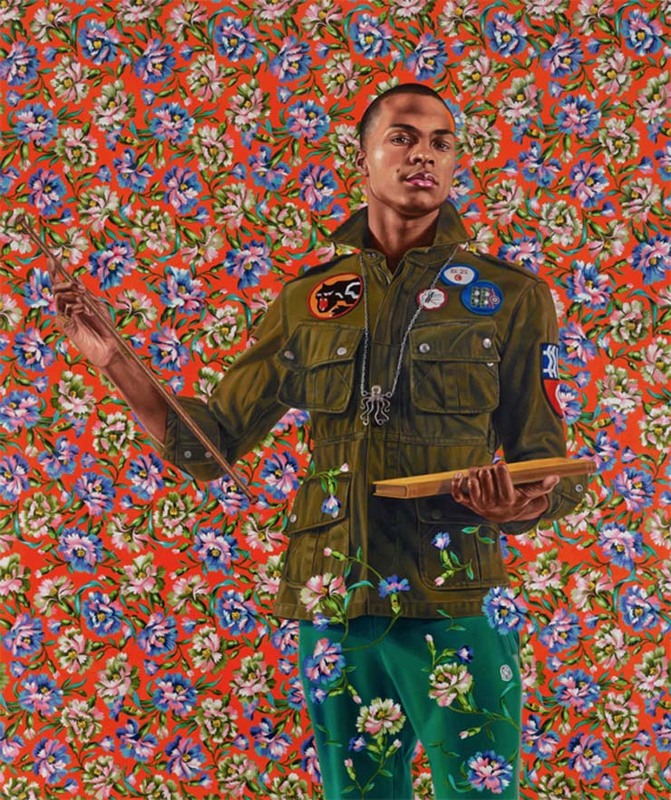 Wiley, 40, is an openly gay artist who has an art degree from Yale University and is best known for his vivid portraits of young, black men in imperious, Old-Master poses. Sherald, 34, uses a palette of grays instead of skin tones and are typically dressed in bright patterns and set against solid swaths of saturated color. 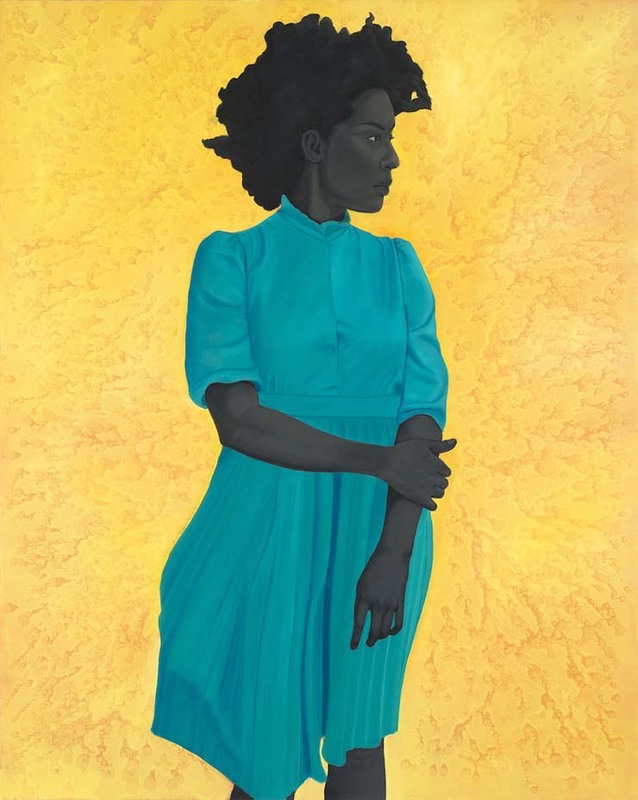 A spokeswoman for the National Portrait Gallery wouldn’t disclose details about the portraits until they are unveiled early next year, after which they’ll join the museum’s collection. 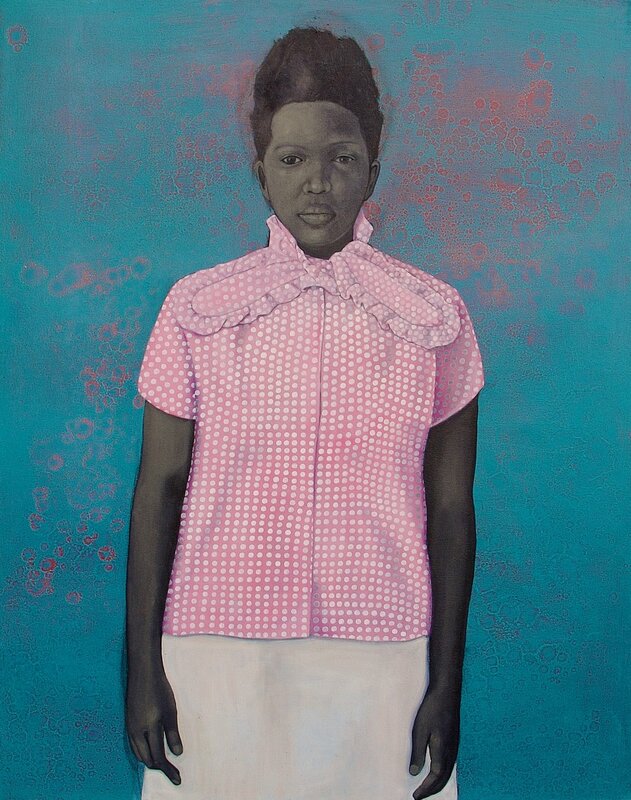 Anticipation in art circles is high because the Obamas have chosen artists with major followings. The Smithsonian’s set of presidential and first-lady portraits remains distinct from the White House’s own collection of portraits, though. 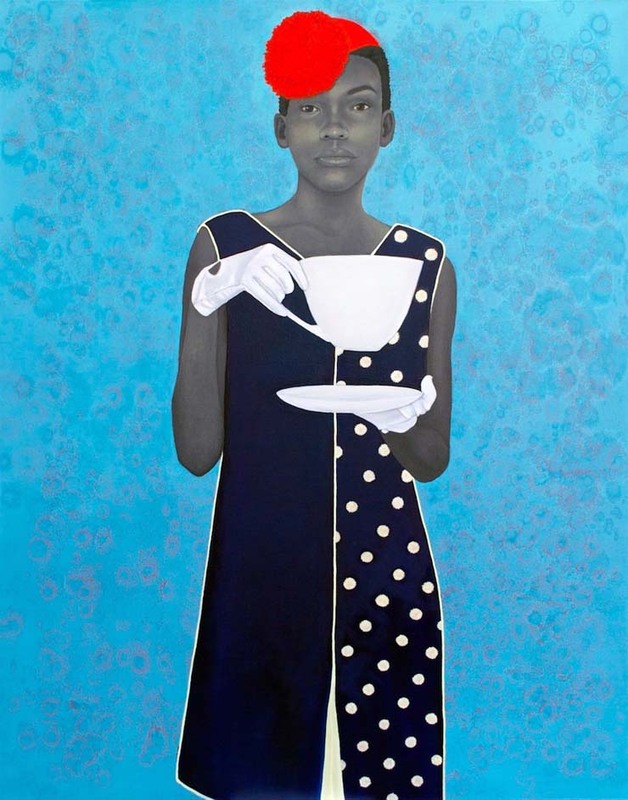 It was the White House that first enlisted an African-American artist to paint a presidential portrait when it hired Simmie Knox, a self-taught artist from Alabama, in 2000 to paint the Clintons. Mr. Wiley and Ms. Sherald are the first black artists hired by the Smithsonian to paint a president and his first lady. The Smithsonian said it plans to pay for the works via private donations. 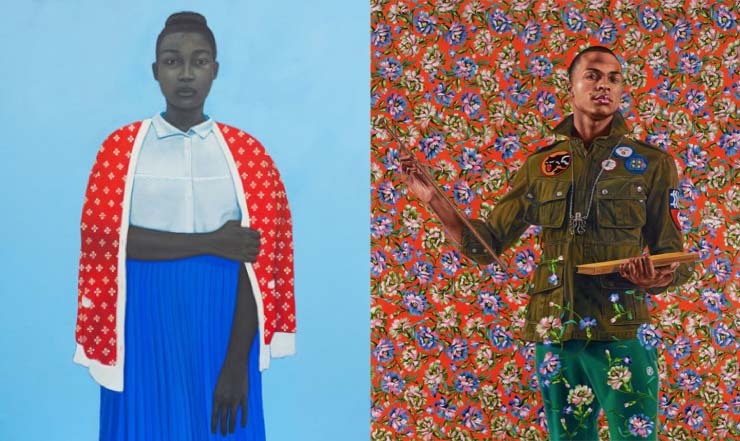 Both artists declined to speak about their respective portraits of the Obamas until they are unveiled.